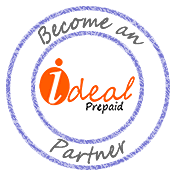 Ideal Prepaid is a sub-metering solution-provider and installer. We provide electric prepaid meters, water submeters or gas meters. Tenants can easily recharge their pre-paid analogue or smart meter at thousands of bank locations across India, online or at participating retailers. Get a prepaid electricity meter box and avoid landlord-tenant issues. Our energy meters (electricity) or water meters are available in single-phase (1 phase) or three-phase (3 phase) from a variety of manufacturers such as: Landis+Gyr, Elster, Hexing, Genus & Utility Systems.